This is a haunting love story of the iron-chested Major Robert Gill of the East India Company and the tribal beauty, Paru, set against the exotic backdrop of the Ajantha caves. N.D. Mahanor's masterpiece tells the true story of an army man who is commissioned by the British to capture the beauty of the Ajanta caves on canvas and is himself enslaved by the mastery of the Buddhist cave paintings, the murmuring waters of the Vaghul and the sensuality of Paru. But the great cultural divide bears down upon the lovers. Paru is killed by her kinsmen and Gill goes mad with grief. Their great dream, of showing the world the beauty of the caves is also shattered when, after a sensational opening in Europe, most of the paintings are destroyed in a fire. Gill builds a monument in the memory of his beloved Paru. He renounces the world and lives like an ascetic on the banks of the Tapi where he is later buried. Under these tourist-infested rocks, the love story of Paru and Robert Gilll still flows like a subterranean river, though it now lives only in the dim caves of local memory. Farmer and poet, Padmashree N.D. Mahanor won the Sahitya Akademi award for his book of Marathi poems, Paanjhad, also published by Popular Prakashan. Ajanta is to be made into a major movie by Jabbar Patel. 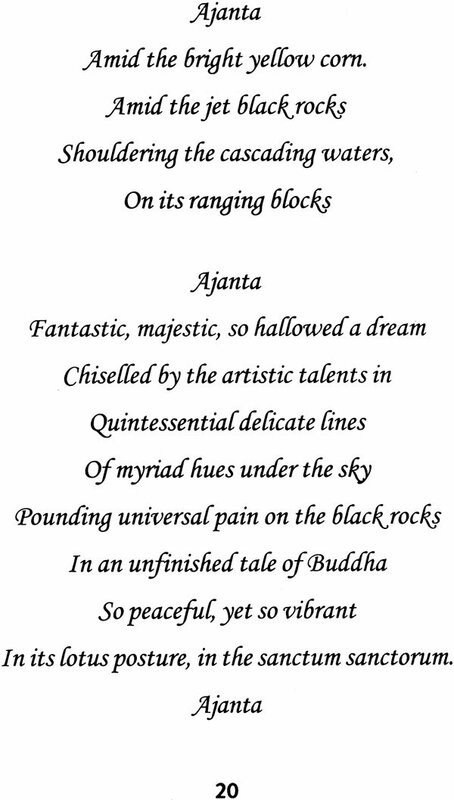 "Mahanor is well known for his unparalleled creation and portrayal of the colours of nature but in Ajanta he blends it with passionate love set against the backdrop of the Buddhist caves and the peace on Buddha's face which gives it an underlying human core. I have always been tempted by the quality of its lyricism which I foresee as inspiring material for a film made on an international scale, towards which I am now working." Dr. Jabbar Patel, Noted film maker. Sahitya Akademi winner, Padmashree Namdev Dhondo Mahanor was born in Palaskhed village in Maharashtra, India, in 1942. Born into a poor farming household where his mother ground flour on a stone mill for a living, he absorbed the magical lyricism of folksongs, which informs all his literary works. Early literary influences include Balkavi and N.G. Deshpande but he has evolved a very distinctive style whole influence in Marathi has been far reaching. One of Marathi's major litterateurs today, his novel Gandhari, was translated into twelve Indian languages. Gavatalya Goshti (Village stories) and poetry collections include - Pavasali Kavita (Monsoon Songs), Ranatalya Kavita (Songs of the Filed), Vahi (Song) Palaskhedechi Gaani (Folk Songs of Palaskhed), Gatha Shivarayachi (The Ballad of Shivaji Maharaj) and an anthology edited by Uttam Kshirsagar, Pakshyanchey Laksh Thavey. He has also edited a number of important books. Ajintha, the Marathi original of this long poem, was first published in 1984. All his major works, including Paanjhad (The Fall Season), for which he won the Sahitya Akademi Award, have been published by Popular Prakashan. Many of his poems have become popular film lyrics and he has won several awards as a lyricist. Mahanor believes in power of literature to usher in social change. His works show a humanitarian concern for poor and compassion for the outcaste. A love for nature gives his works extraordinary lyricism. He has been involved in successful experiments on his farm near Ajanta Caves and has been awarded the Vanashree and Krushibhushan awards for his contributions to the environment and farming. He was nominated twice to the Vidhan Parishad of Maharashtra where, among other important resolutions, he initiated work on the Kala Academey and the Ajanta Development Plan. He has been the President of the regional literary body, the Marathwada Sahitya Parishad. He was awarded the padmashree by the President of India. Translator Asha Damle is a post-graduate in English and has taught English in London and Mumbai. She has translated S.J. 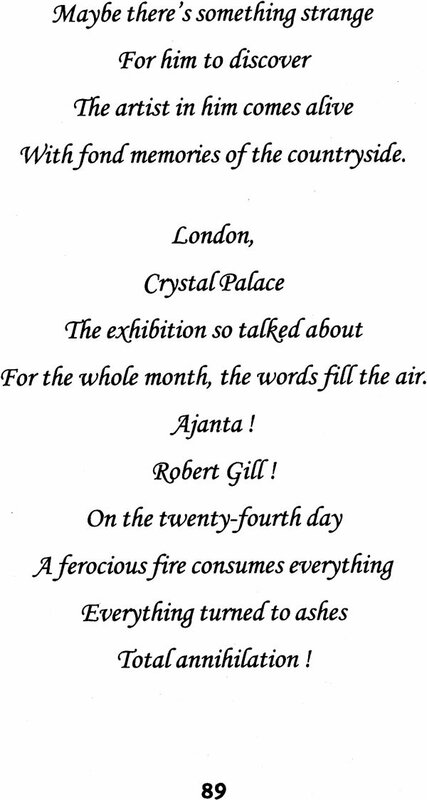 Joshi's Anandi Gopal published by Stree, S.H. Garge's Gopal Ganesh Agarkar and Vasant Moon's Babasaheb Ambedkar and some dalit kathas, stories of the marginalized sections of society, from Marathi into English. She has also translated A. Solzenystin's For the Good of the Cause and Toni Morrison's Beloved into Marathi. She has written two collections of short stories and is involved in social and feminist causes. I hail from Palaskhed, a small village in Maharashtra, which has a population of barely a thousand people. It is around seven kilometers from the foot of the hills on which the Ajanta Caves are located. The surrounding land is rocky, with small hillocks. It yields little in terms of agricultural produce. You can hardly see any large, flowing rivers, but there are many rivulets, brooks and springs. During the monsoons, however, the area becomes lush green and is miraculously transformed. On top of the Ajanta Caves, the Ajanta village is situated. Its population is about six to seven thousand. At the foot of Ajanta lies Foladpur, a very small colony. Around five to seven kilometers away are found Palaskhed, the Jungal Tanda and Varkheda Tanda colonies. The settlements are predominantly peopled by Banjara adivasis (tubals). Around the caves are also found people belonging to other communities and tribes like the Koli Bhils, the Bhatka Vimukts, Muslims, Marathas and others. All these varied groups have been living together happily in the region for generations. The land may be largely barren, but they have toiled over it, celebrating each other's festivals with joy and bonhomie. With great interest and enthusiasm they narrate and pass on the history of Ajanta caves. Almost 2500 years have passed since the astonishing art of Ajanta was created by unknown artists with the help of the uneducated, but artistic adivasis who lived close by. For almost 500 years the adivasis laboured on the project, from generation to generation and worked wonders on the black stone, to create larger than life images. Today, we cannot imagine how it was done and it is amazing how such a feat could have been accomplished amidst dense forests, with no modern amenities. In the Ajanta caves are beautiful sculptures and paintings depicting the life of Gautama Buddha. The main picture is of a serene and quiet Gautama Buddha. Natural colours have been used to paint the pictures - colours created frm leaves, flowers and stones found locally. Even today, the images retain their original freshness, just as the River Vaghur flows from the forest even after so many years. Many people think that they are not the work of human beings but of some divine creator. For a long time the caves had remained hidden in the forests. In 1819, a British officer stumbled upon them as he was wandering in the region. 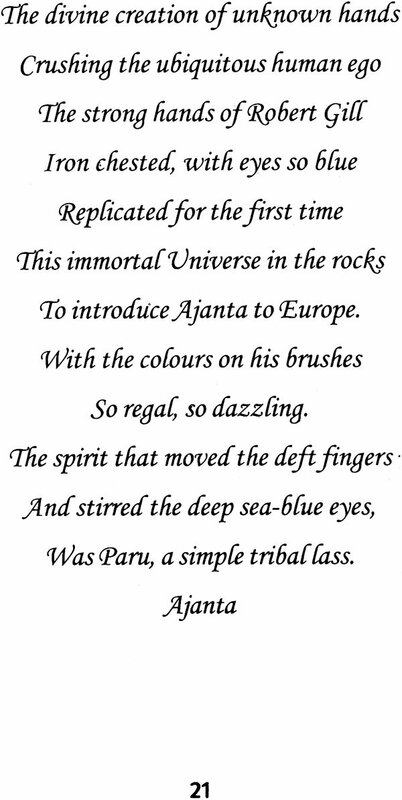 With the help of the reigning Nizam, who was a great connoisseur of art, and other art aficionados, discussions about the art and sculpture of Ajanta took place in Europe. A letter regarding these caves was read on the continent in 1824. It was decided that a replica of the images in the caves would be created. But who would accept such a challenge? Who would be capable of the artistic endeavour? For such a person would be required to have an idea of history, of Buddha's Jataka Tales, the art of making natural colours and the ability to create a beautiful, lustrous Buddha. The person would be required to work for long years, four to five decades perhaps, with skilled local artisans. Where would such a genius be found? In 1844, the eminent artist Robert Gill was providentially employed with the East India Company, Madras, where he was working as a Major. He was assigned the prestigious and challenging task. Gill was just 32, hence it would be possible for him to tackle the mountainous terrain and climb up to the caves. He would also be able to devote long years of his life to the task at hand.